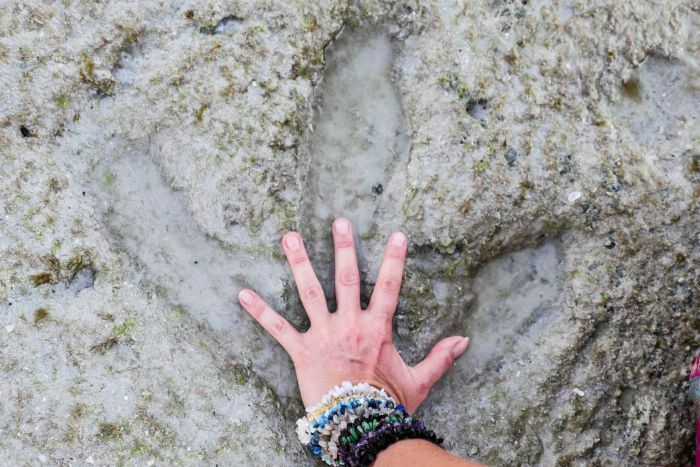 Bindi Lee Porth places her hand in the dinosaur tracks she discovered. Footprints of a Tyrannosaurus-type dinosaur have been found by a woman collecting shells on the most popular part of one of Australia’s best-loved beaches. Bindi Lee Porth was collecting shells on Broome’s Cable Beach on Sunday, while hundreds of tourists watched the sun setting into the Indian Ocean, when she made the incredible discovery. “I went to put my foot down, and the best way that I could describe it is that I felt a very strong energy,” Ms Porth told ABC Local Radio. 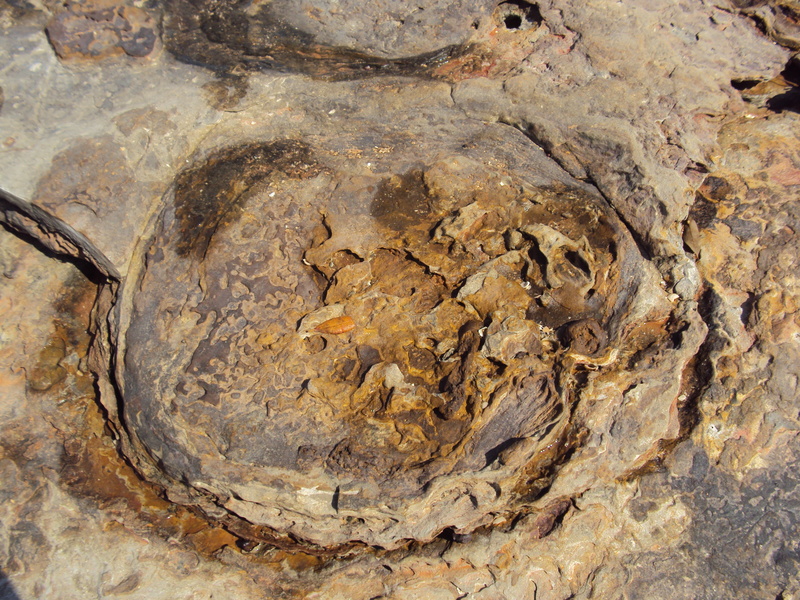 Read the rest at the link including comments from researcher Dr Steve Salisbury, who has spent considerable time documenting and describing all the species of footprints found here. 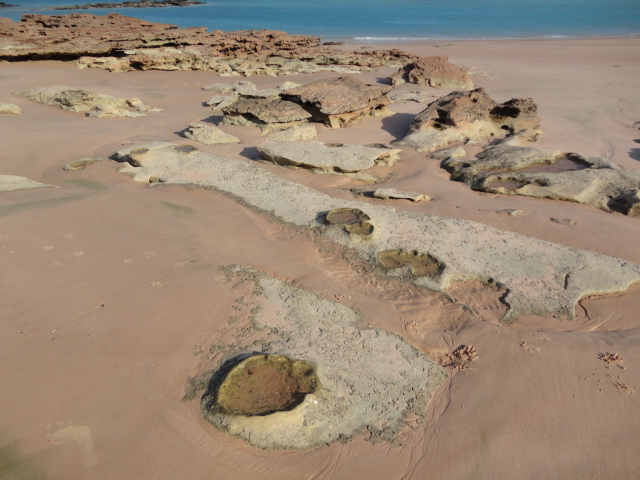 Below, in Roebuck Bay: Above, just a hundred metres from the Broome Port. This entry was posted in Broome/Kimberley, Environment, photography, science and tagged ABC Kimberley, Broome, environment, science, vacation. Bookmark the permalink.